It may interest you to know that this fetching lass exudes an exotic fragrance as she stands hula-ing on the dashboard as you motor along on your daily commute. If you are not immediately repelled by this concept and its accompanying figurine, then you are one of us – a lover of kitsch. 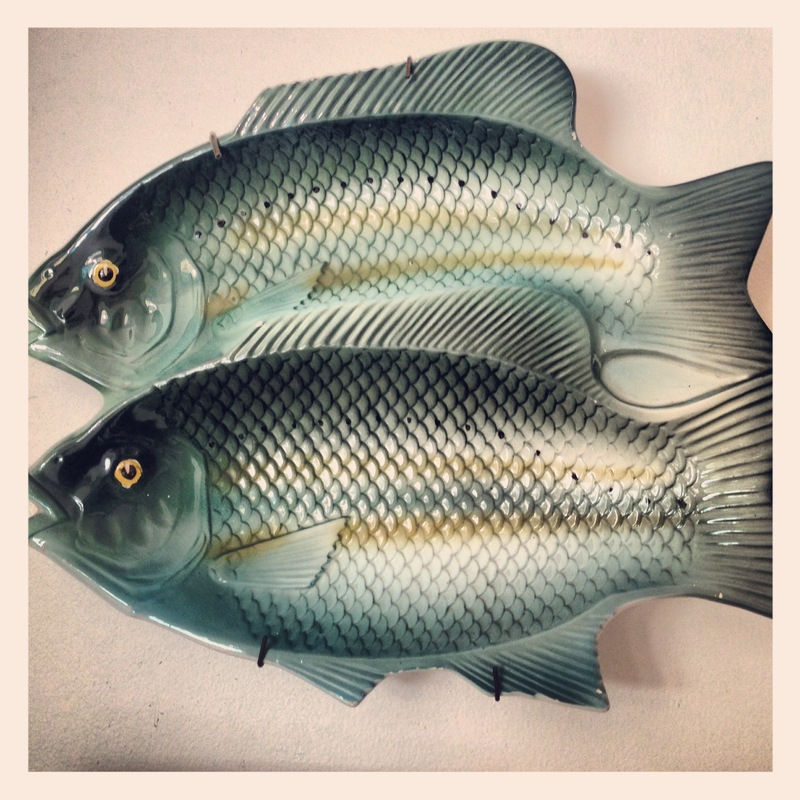 The individuals responsible for coining the term kitsch and then defining it as tawdry vulgarized pretentious art, would never have been referring to my china double-fish serving dish, which has pride of place on the kitchen wall (as an example of course of unpretentious art). There is certainly nothing that could be described as vulgar about the luminous scales or the piercing eyes that these beauties exhibit. Is there? 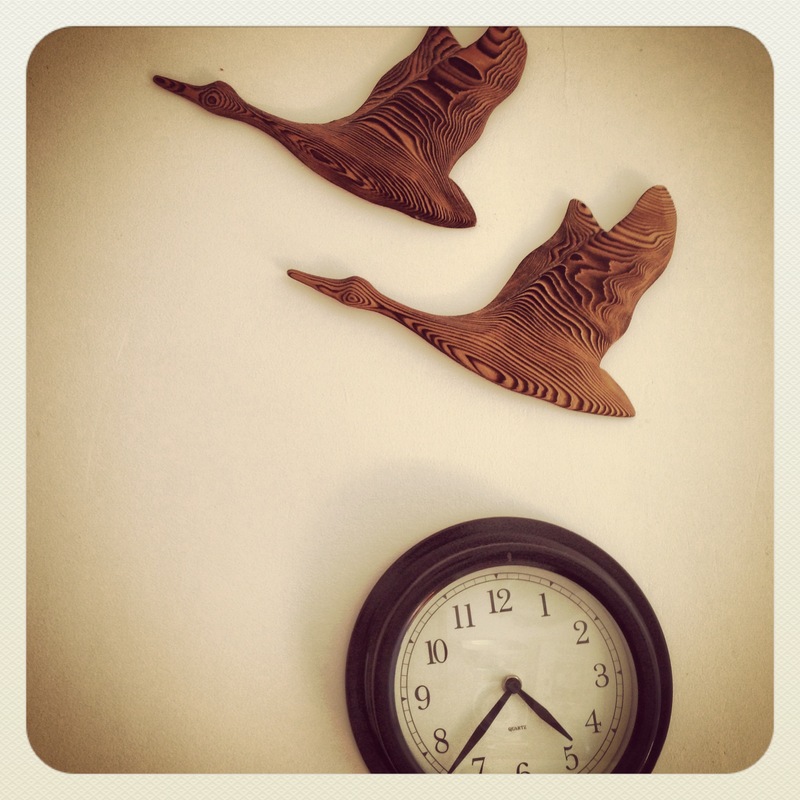 And who could possibly consider these two wooden Canadian flying geese above the clock anything but the height of 2013 kitchen chic? I blame the era I was raised in, where impressionable minds were subjected to cringe-worthy nodding dogs, cuckoo clocks and ‘here ’tis’ plaques on restroom doors (fortunately I did manage to escape the garden flamingos and crochet dolly toilet roll covers of an earlier, yet equally kitschesque era). The legacy this early exposure has left behind, is an irresistible attraction to the quirky, character-filled odd stuff, that was all produced in Japan and shunned by those of sophistication as kitsch. 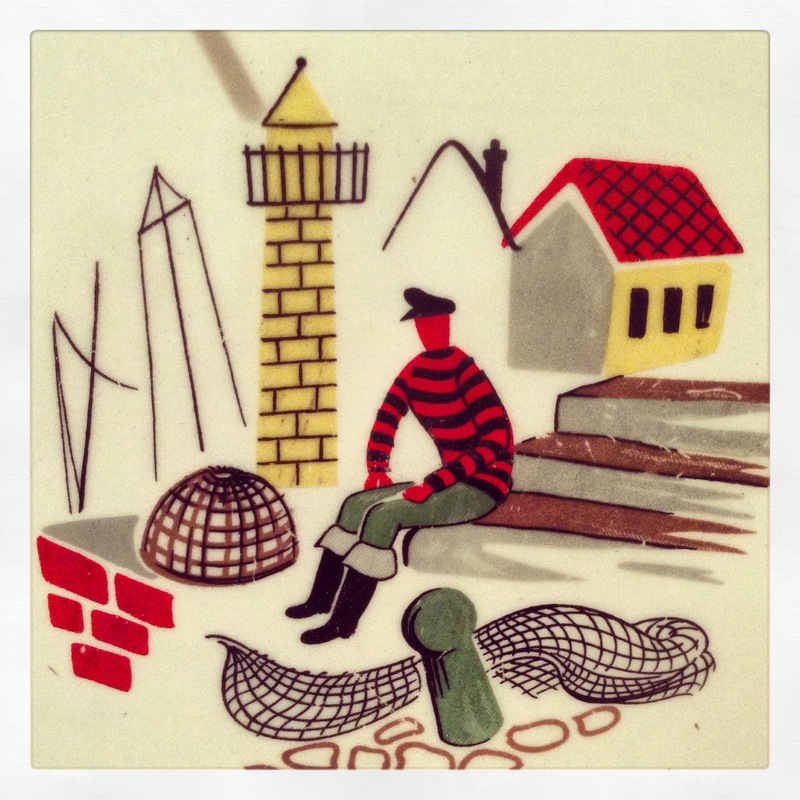 If you consider yourself part of this cultured few, then this bright little fisherman with his nets at the ready situated amongst his quaint village infrastructure, would have little effect on your heart and soul as he appears at the bottom of your cereal bowl after the last spoonful is scooped away. The slightly unsettling part of writing this post was the fact there was no lack of subject matter around this home to capture…..even down to the tea caddy. 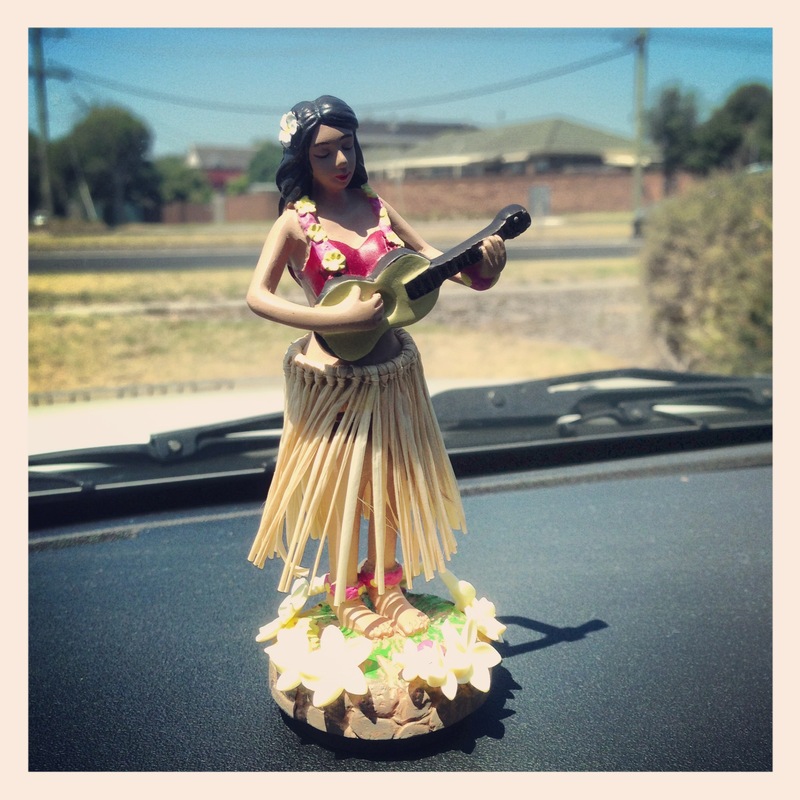 Postscript: To clarify, the hula girl and her corresponding dashboard do not belong to me….not that there’s anything wrong with that of course.